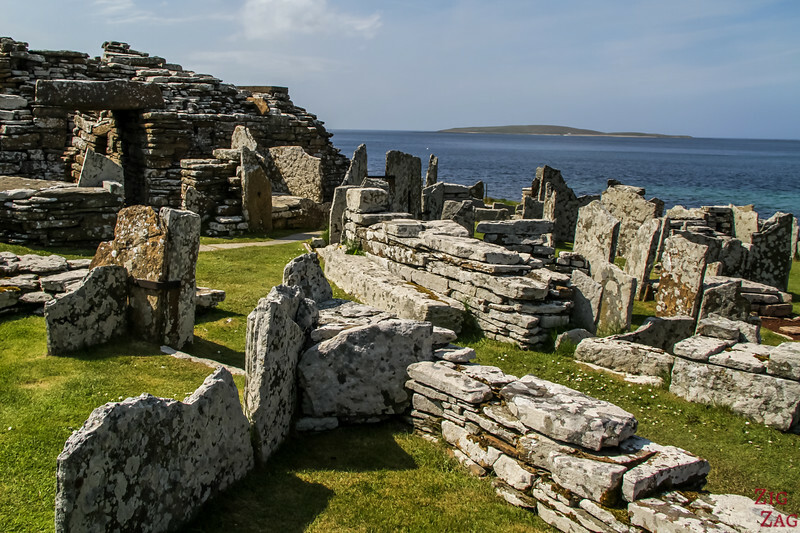 The Broch of Gurness Orkney is one of the finest examples of a broch, an iron-age building unique to Scotland. 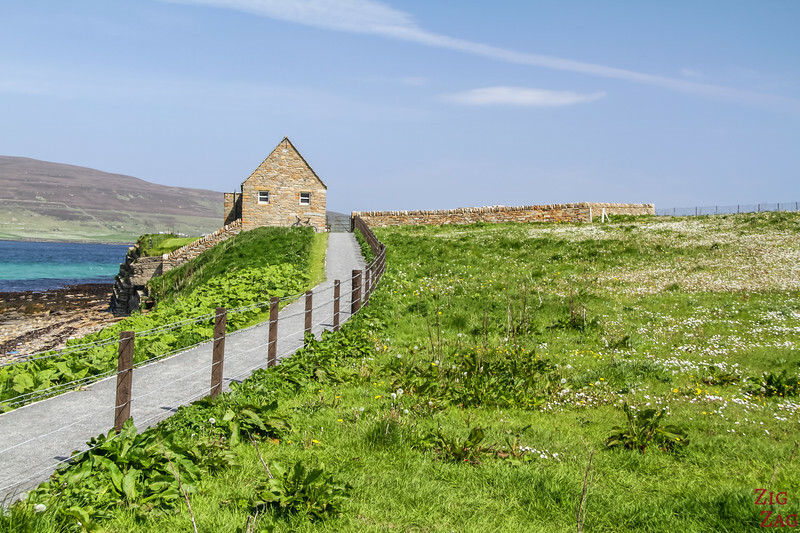 With its surrounding village and the amazing views over the water, the site is one of the best in Orkney. 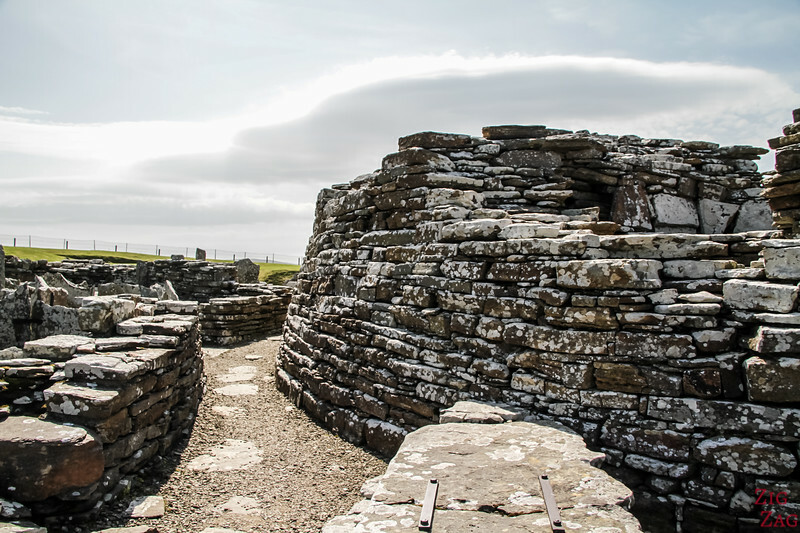 The islands of Orkney is home to many brochs. 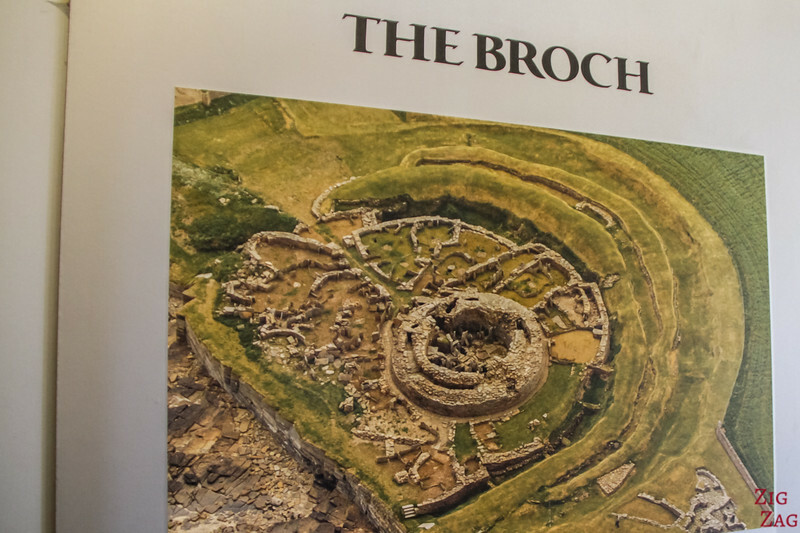 The most famous ones are the Broch of Gurness, because of its size and state of conservation and the Brough of Birsay because of its location on an island accessible on foot at low tide. 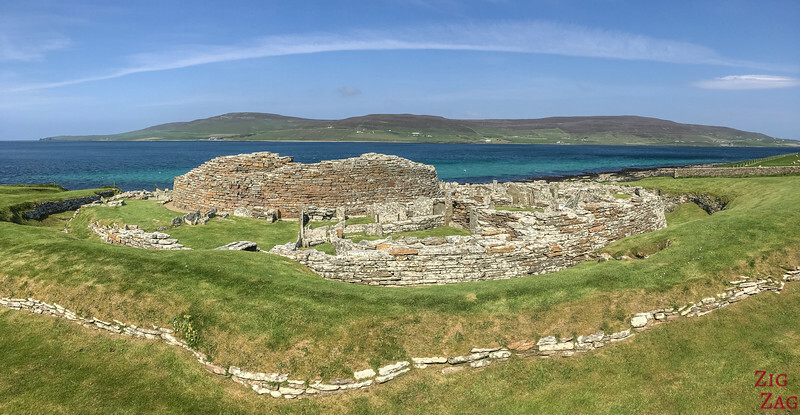 In this article, let's discover more about the Broch of Gurness, definitively one of the top things to do on Orkney. Don't miss the short video about the site at the end! 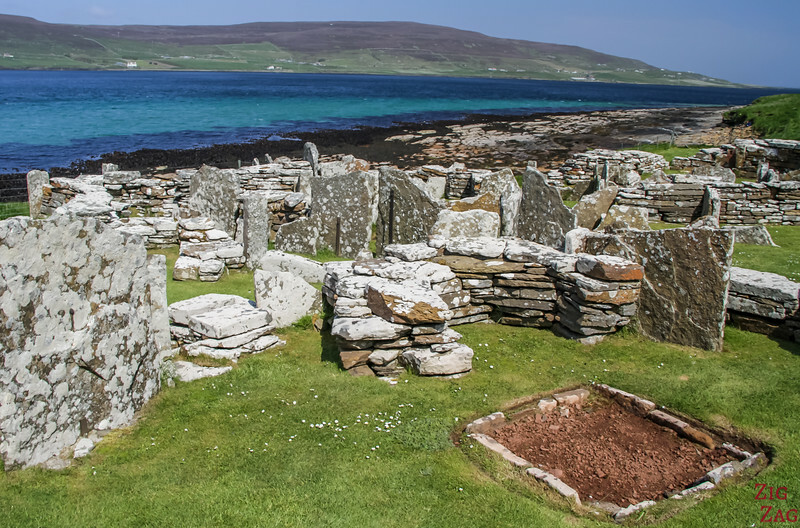 2000 years ago, Gurness was probably one of the most important settlements in Orkney. 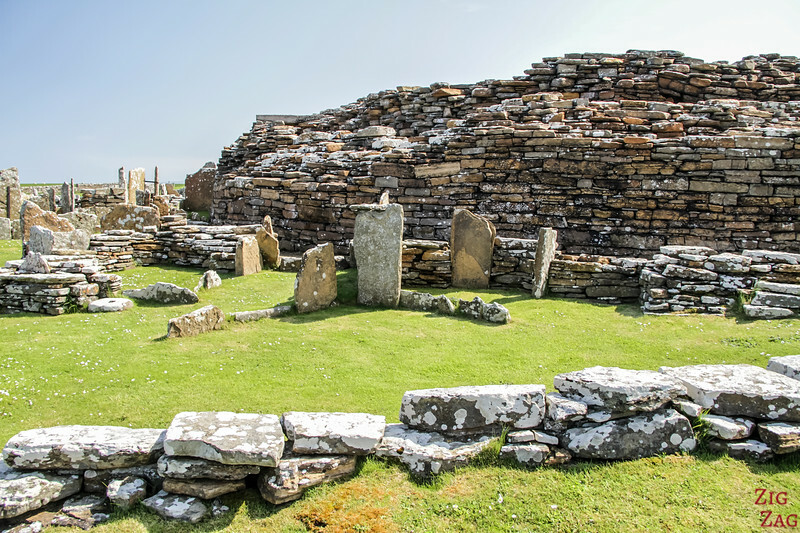 Although Scotland has many many brochs, having one in the middle of a large village is unique to Orkney and northern Caithness (northeast point of Mainland Scotland). 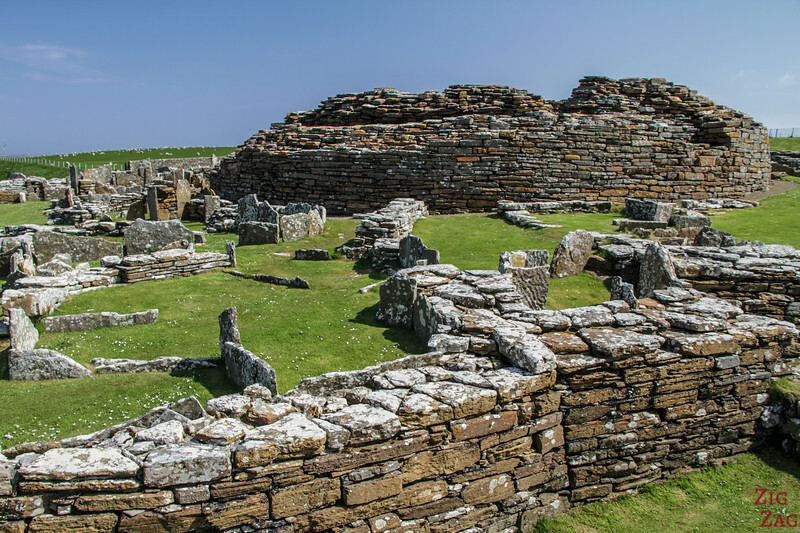 The settlement is estimated to have begun between 500 and 200BC. The remains still show the impressive architecture. 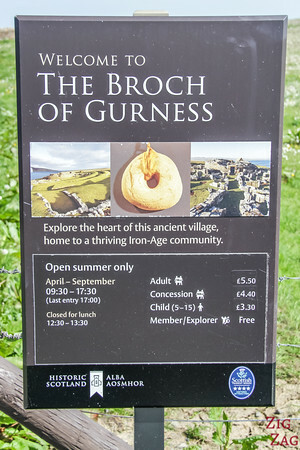 It also include a later Pictish farm and Viking burial. 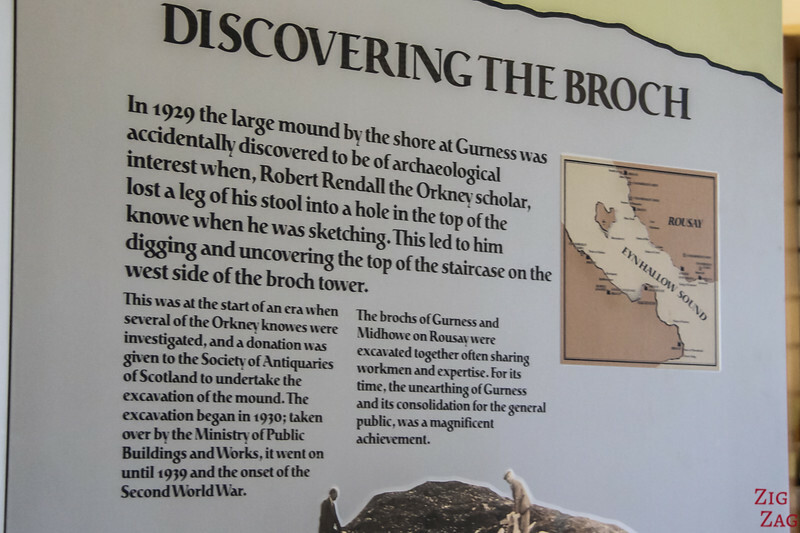 The Broch of Gurness was accidentally discovered in 1929 when Robert Rendall lost a leg of his stool while at the top sketching. So he started digging and found the top of a staircase. 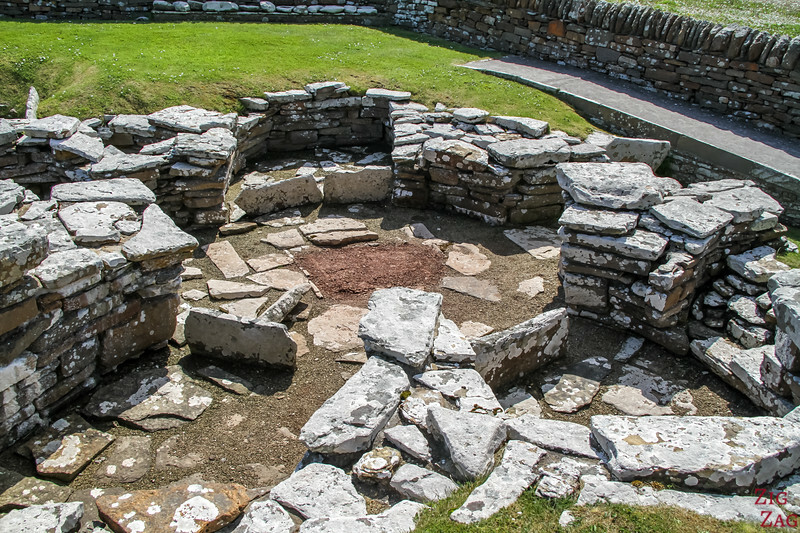 Excavation began in 1930 until 1939. The parking is very close to the site. 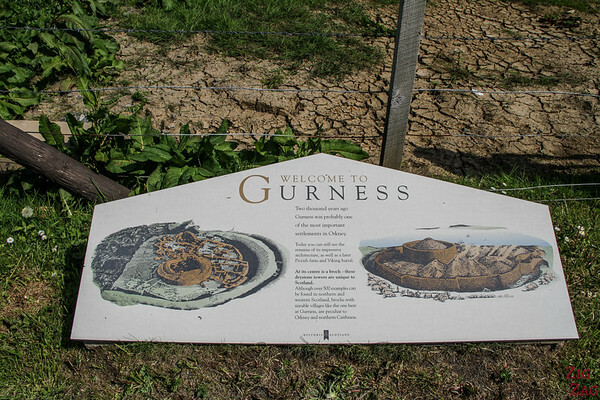 At the entrance is a small museum with displays, miniature reconstitution of the site and artifacts. 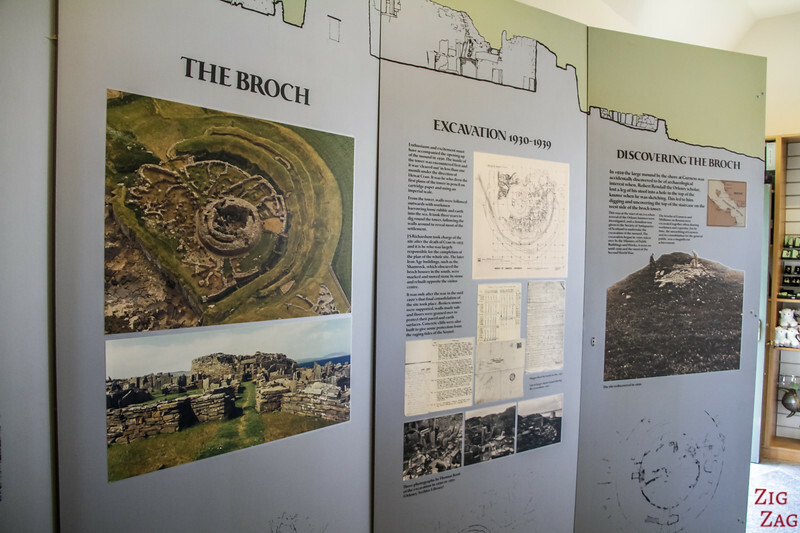 The overall view of the site is quite impressive. A lot of the central tower remains. It is easy to see the strategic position near the water. They have set up clear signs with explanations everywhere. 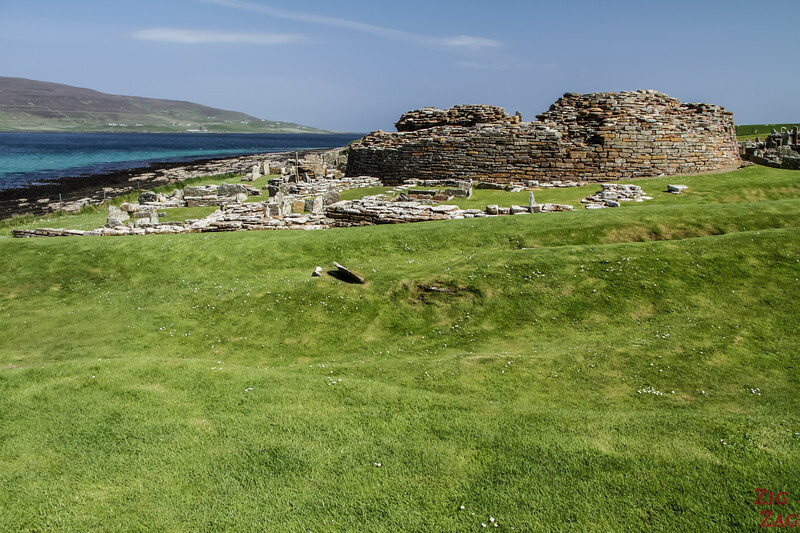 In the panorama below you can see the area location of the Gurness Broch with the island of Rousay just across. I was lucky to see it under the sun (it is Scotland after all) and the colors were amazing. What a great place to settle! 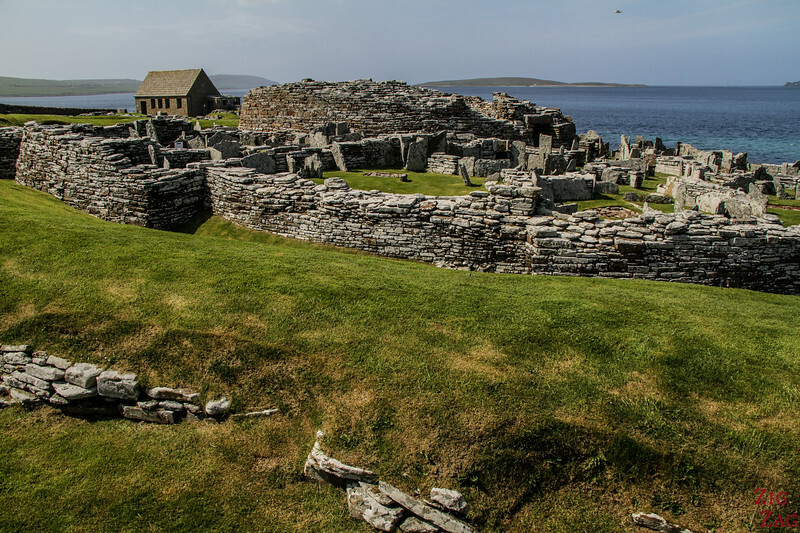 During excavation, the archeologists found collapsed buildings around the central broth on one layer. 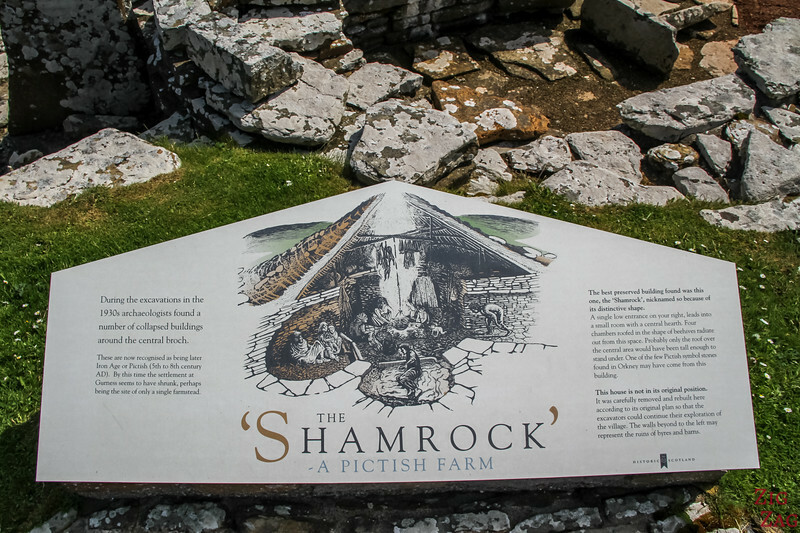 Those were Pictish Farms (from the 5th to 9th Century AD). It has been moved nearby and resettle exactly as is. This is the first ruins you see when entering. 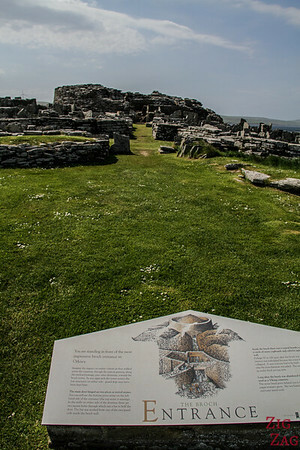 It is allowed to walk around the ruins and even enter the central tower. It is great to see the structure of the various houses and the stairs still standing inside the tower. 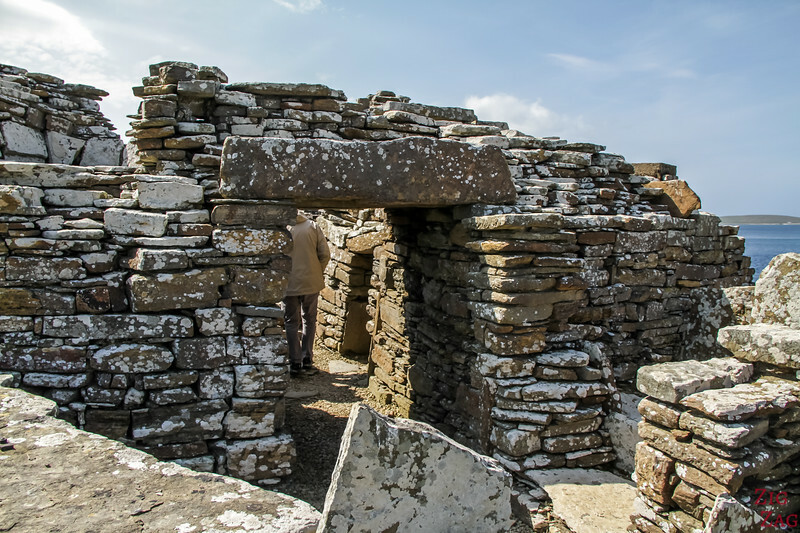 I was really surprised by the high degree of conservation of the site. 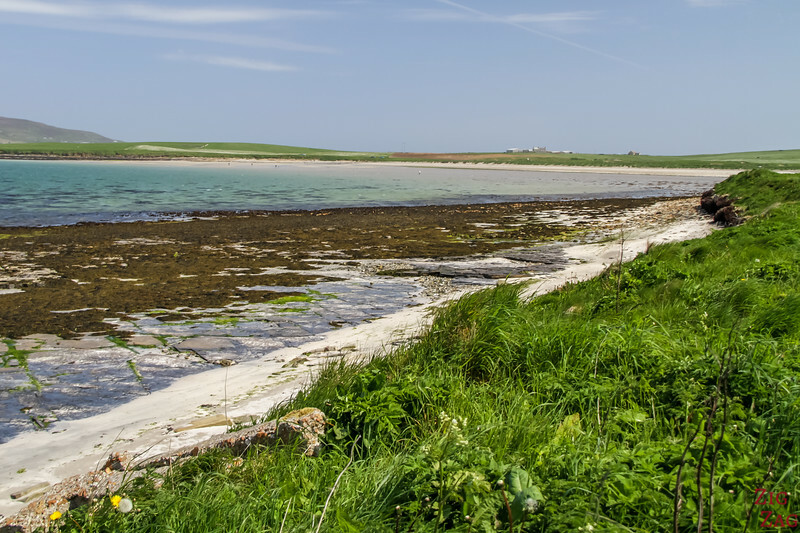 Don't forget to stop at the nearby Aikerness beach in Aikerness Bay. 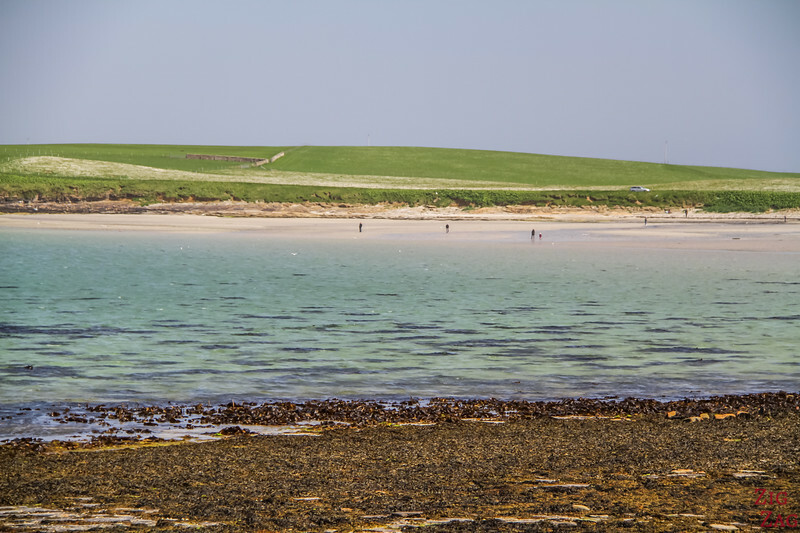 It is considered one of the most beautiful beaches on Orkney with shallow transparent waters and fine sand.